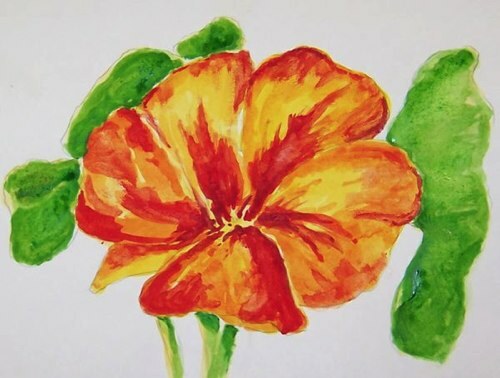 Another quick watercolor of a spring flower. This was one of our many yellow/orange nasturtiums last year. Size 5 X 7.